Brilliant blue podiums support the weather cast of garden statuary. The statuary weathered against nature reveal the trace of time. Positioned in the undergrowth in the transition between the formal garden and the forest path the stoic statuary in their gaze embrace nature in all her milieus. 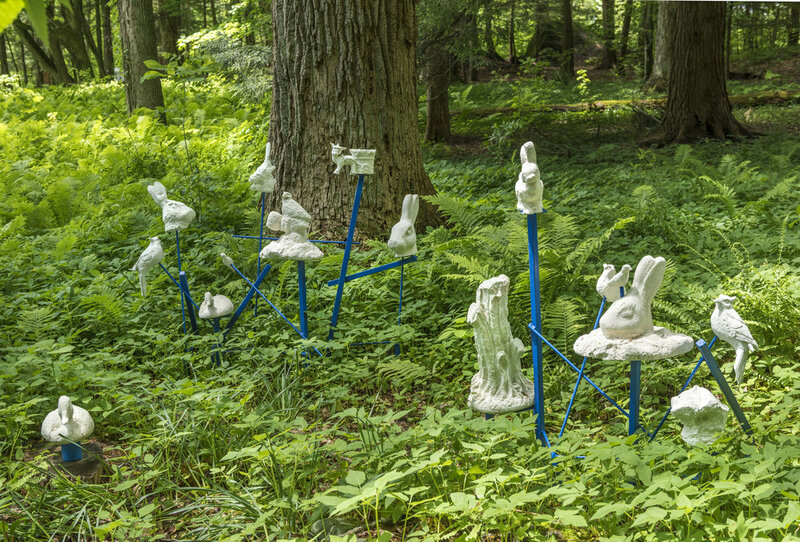 In 2015 Bell was an artist in residence at Chesterwood, Blue landscape, was inspired by the studio and gardens of Daniel Chester French as well as the surrounding gardens in the Berkshires, with a special nod to Naumkeag.